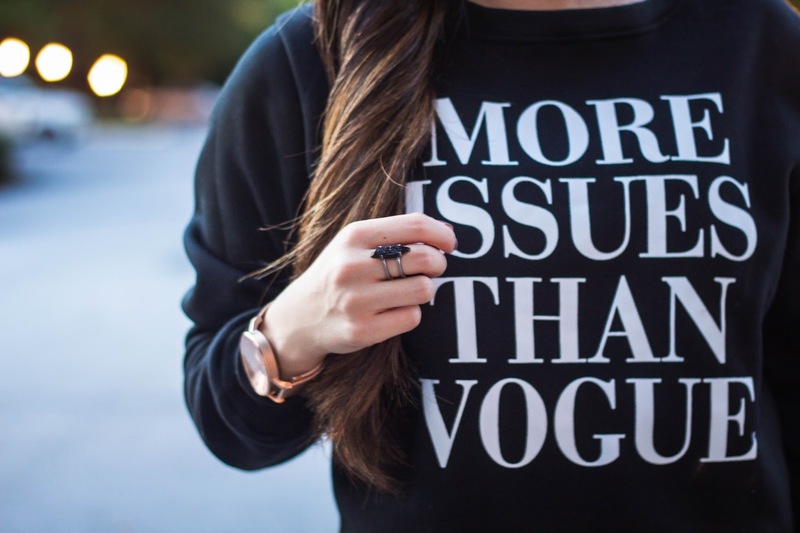 In all honesty, I've been wanting this sweatshirt for the longest time. I mean, it's basically me summed up in four words. Ha ha. Not only that, but it's actually really comfy and I would easily wear it as a pajama top because of how soft and comfortable it is. 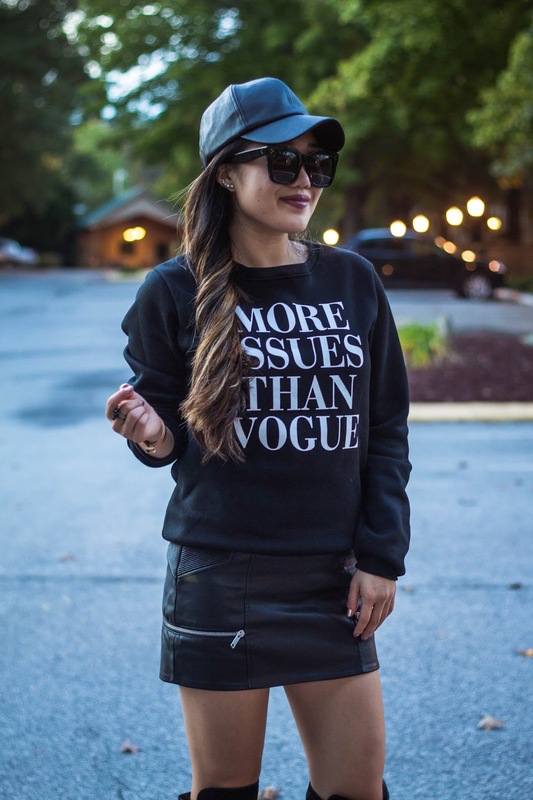 I paired it with my favorite leather skirt for an all-black look. Are you even surprised? 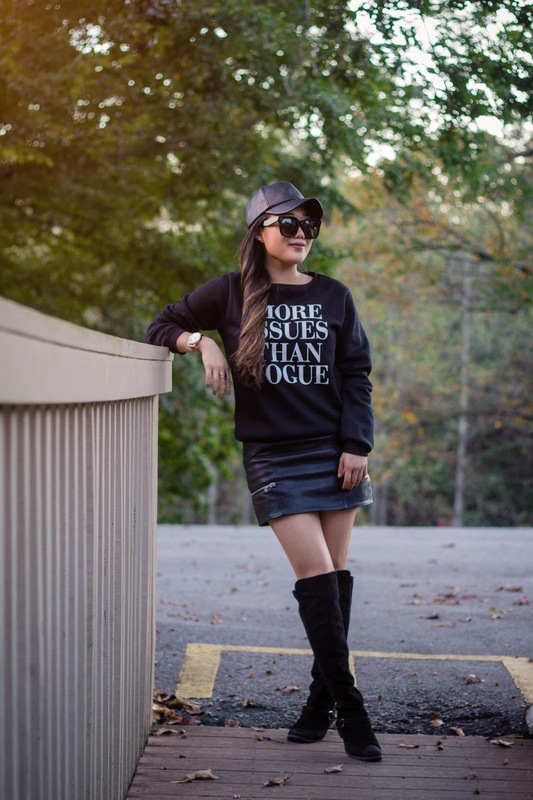 One of my favorite things to do in the fall is pairing over-the-knee boots with skirts. 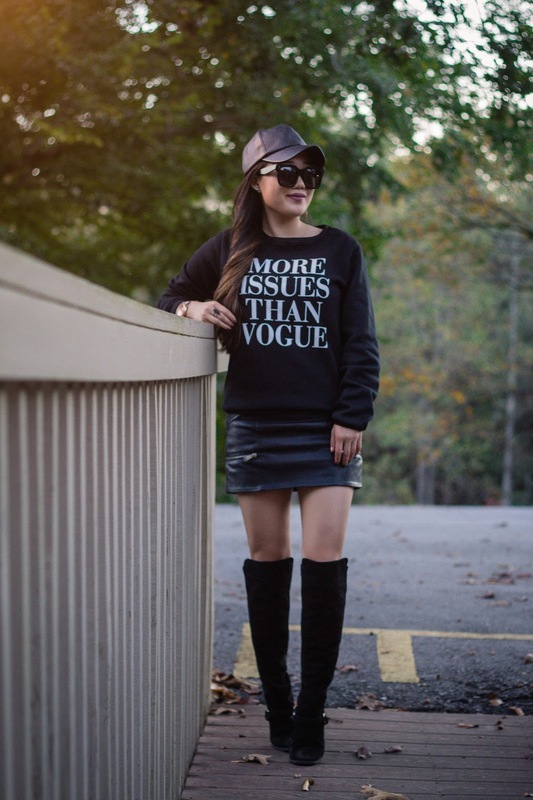 Sometimes I'll get tired of wearing jeans with over-the-knee boots, so it's a great way to switch up your fall style. P.S. 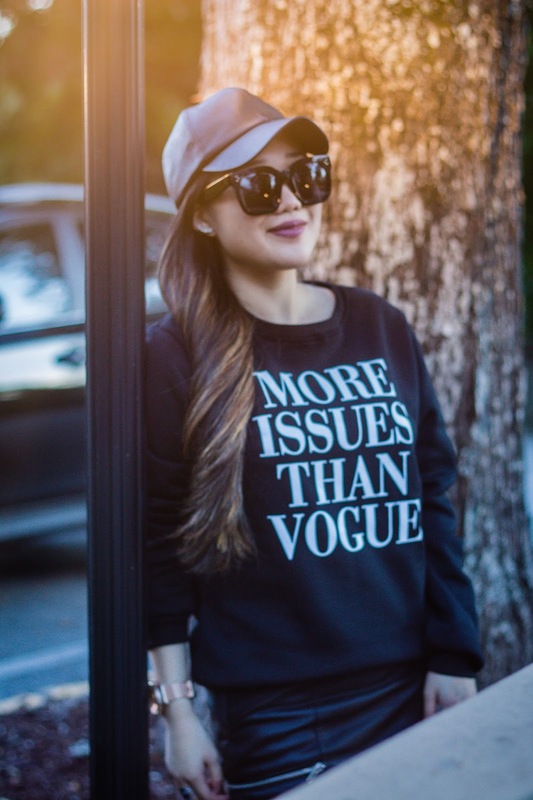 The sweatshirt is on MAJOR SALE for ONLY $16. What a steal. Thank you to Romwe for partnering on this post. All thoughts and opinions are my own.